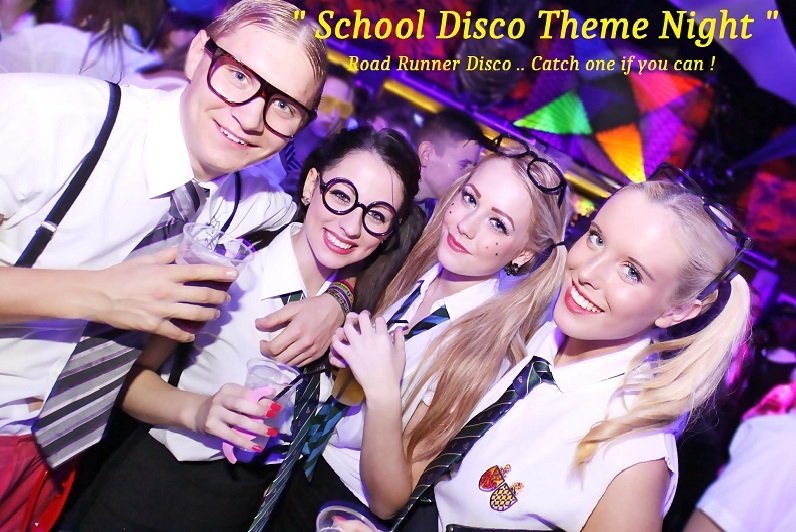 If you are planning a function or event then why not book a Disco from Road Runner Disco. 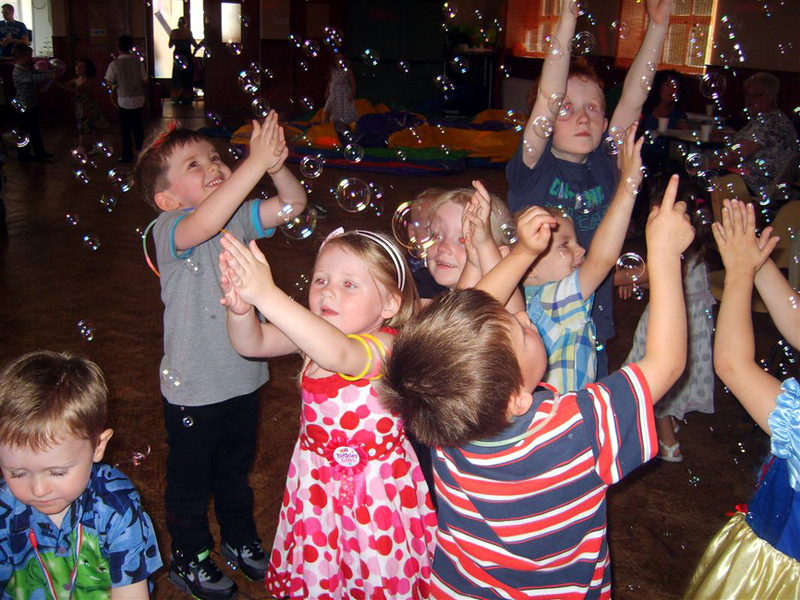 Having been providing Discos since 1971 and Karaoke since 1988 we have gained a wealth of experience in the entetertainment arena and we have performed at various kinds of functions. 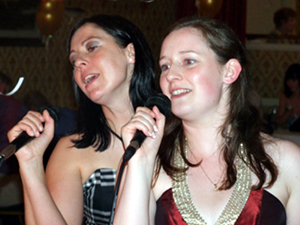 We offer a bespoke service and whether you require a DJ or Karaoke host our team are the best in the business. 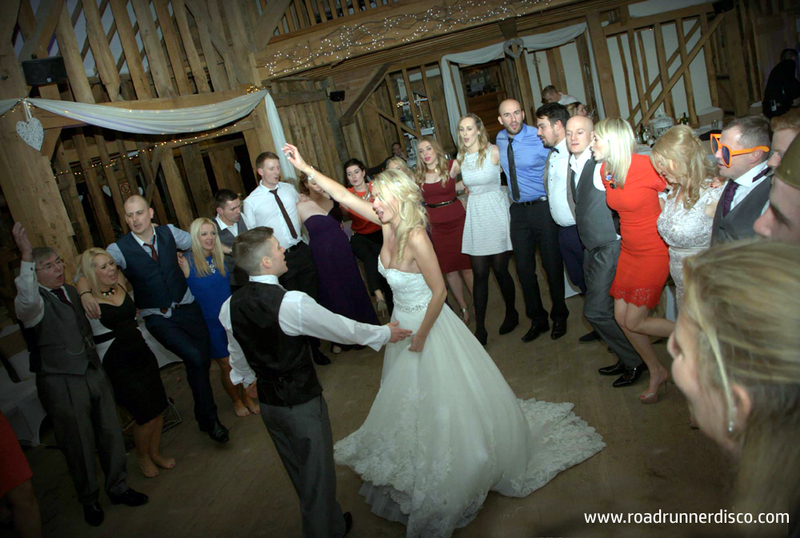 In addition to the finest team of DJ's , Road Runner possesses the latest cutting edge equipment which will enhance the atmosphere of your function. 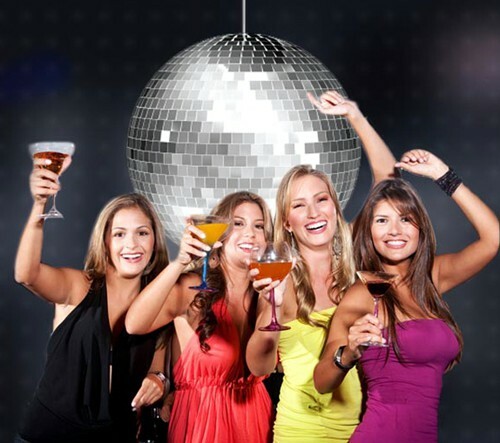 Let us help you choose the right kind of Entertainment for your Wedding reception , Birthday party , Children's party or just deciding how to make a fantastic party night for your guests, You will need to make sure that you choose the right Disco company to help you with all your requirements. Road Runner Disco should be your first port of call. 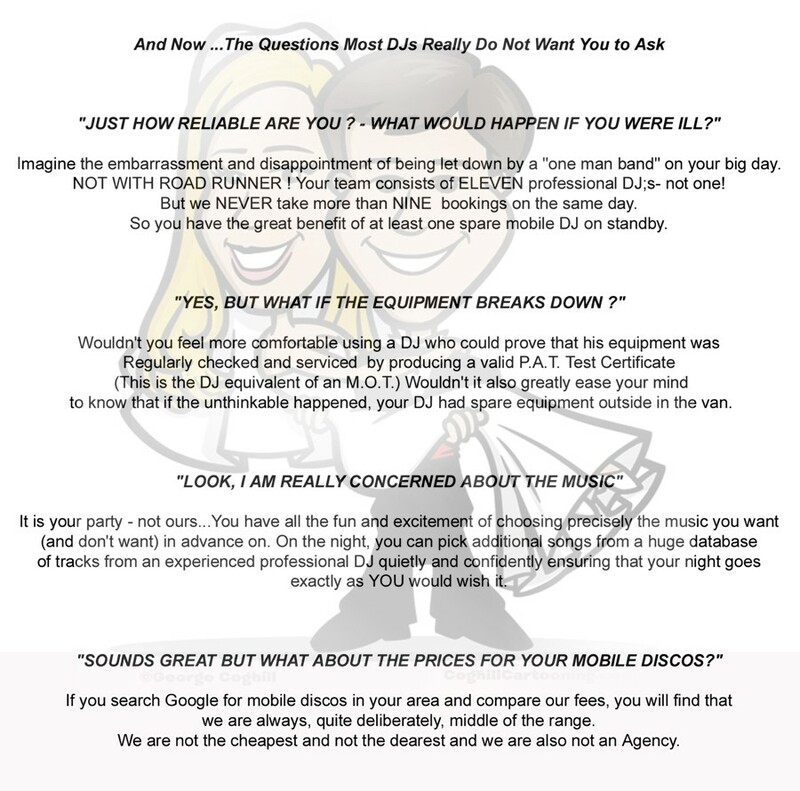 With the very latest technology we can bring our services to a venue of your choice. 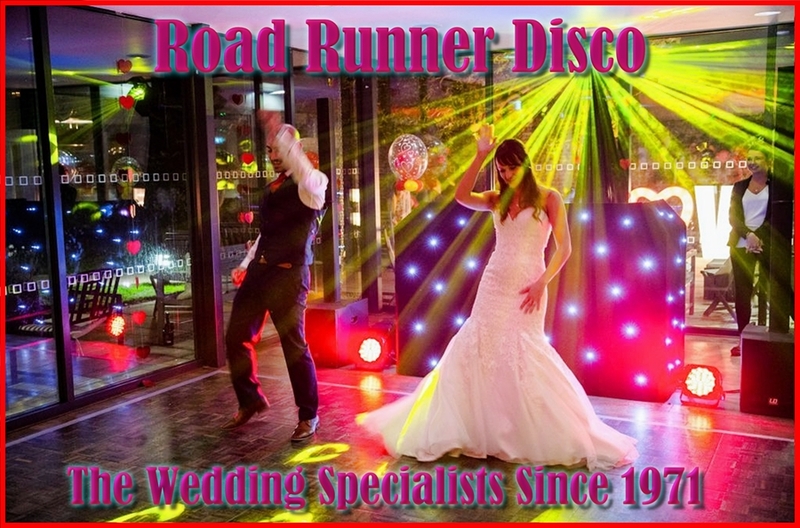 Here at Road Runner Disco it is very important to us that we get the right music selection for your event and by doing so we welcome play lists from each and every customer, and requests are also very much welcome on the night of your event. 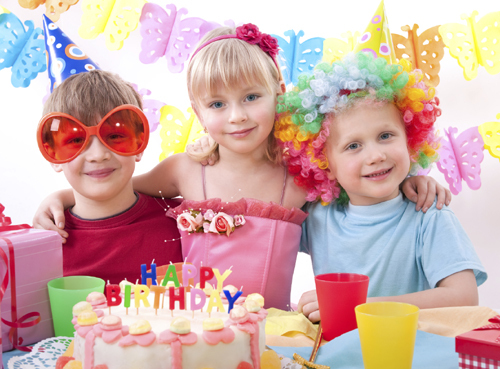 To see some of our past events please visit our VIDEO PAGES where there are many videos from our past functions for you to browse at your leisure. 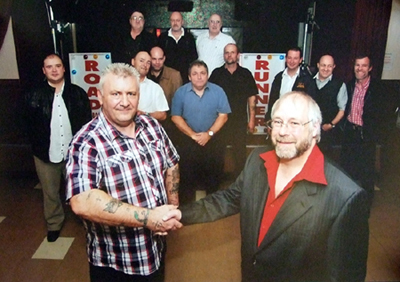 Back in 2011 current owner Dave Herron ( Left ) and founding member Ron Wylie celebrated 40 years of Road Runner Disco. 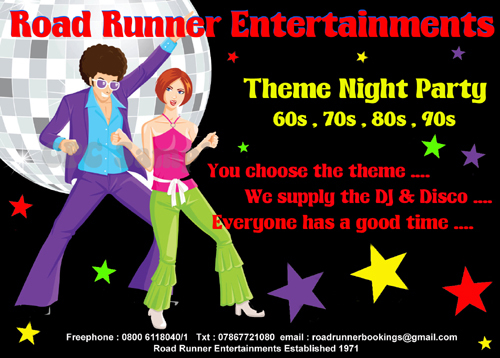 Now in 2016 Road Runner Disco are celebrating 45 years of entertaining. We booked the disco with you with less than 48 hours notice and just wanted to say a massive thanks to the lads. Pleasing a room of 18 year olds is a challenge but you guys did it. I would highly recommend you, thanks very much from everyone at Crathes hall last night. 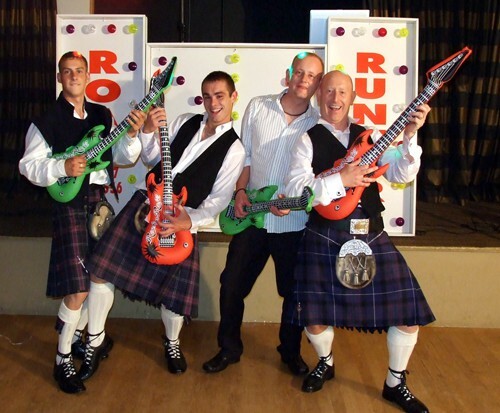 Road Runner Discos played at Aberdein Considine's Christmas Party and rocked the house, what a party!! Heaps of people up requesting songs and dancing to the golden oldies and right up to date tunes too. We hired Road Runner discos for my daughters sixth birthday party and I can honestly say it was one of the best parties we've been to. The kids absolutely loved it and all had an amazing time. The DJ entertained the them the whole time, doing all the games and giving of prizes, he interacted with them brilliantly and made them laugh so much. I've never seen a group of kids so engaged for that length of time. I would absolutely have no hesitation in recommending Road Runner Discos. I hired road runners for my daughters 8th Birthday today. My daughter and all her friends had a great time, Dave even managed to get all the mum up joining in with the dancing. Would definitely recommend them. 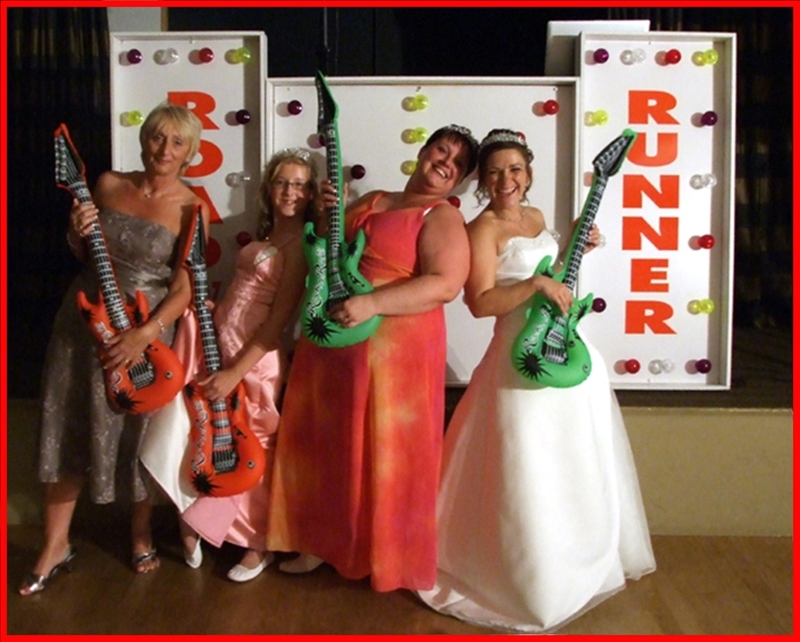 Founded in Grimsby in 1971 Road Runner Entertainments has successfully grown over the last FOUR decades to be one of the UK's leading suppliers of experienced professionals providing quality entertainment down the east coast from Fraserburgh to Skegness. We pride ourselves on achieving the high standards we strive to meet. From your initial enquiry through to our aftercare policy, we aim to ensure that every customer is pleased to have used "Road Runner Entertainments".